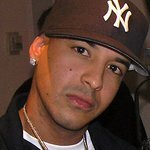 In response to the tragic devastation caused by Hurricane Maria, Puerto Rico native, rapper, producer and “Despacito” singer Daddy Yankee has pledged a personal donation of $250,000 and to raise an additional $1.5 million toward Habitat For Humanity's plans to help Puerto Ricans repair and rebuild in the aftermath of the storm. With the help of its local office, Habitat is assessing the damage to homes on the island. Habitat for Humanity of Puerto Rico has been building and repairing homes in the U.S. territory since 1997. Habitat’s long-term post-disaster recovery efforts include repair of damaged homes and construction of new affordable homes. Construction plans are determined after evaluations and are dependent on the level of support received from donors, volunteers, corporate partners and other community organizations. Habitat has been responding to disasters since 1997 and to date has helped more than 230,000 families in 52 countries through its disaster response work. Following Hurricane Katrina, Habitat organizations along the Gulf Coast built more than 6,000 homes and removed debris and cleaned more than 2,500 homes in preparation for rehabilitation. Habitat also mounted responses to Superstorm Sandy, tornadoes through the South and Midwest, and earthquakes and typhoons overseas. Habitat’s ability to respond effectively to this disaster depends on available resources. 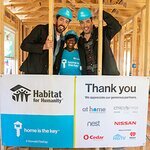 To donate or learn more, visit habitat.org/daddyyankee.